Yesterday, Bleeding Cool ran a Fanboy Rampage when Dan Slott went off on one about a New York Times interview with Rob Liefeld, in which he appeared to denigrate the contribution of writer Fabian Nicieza to the process of creating Deadpool. Slott got backup from Mark Waid, Kurt Busiek and Darick Robertson. But Fabian Nicieza didn’t say anything. effort to contact me for comment, much less be fair in his approach to Rob or the subject matter. Please lay off Rob. ALL IS FINE! 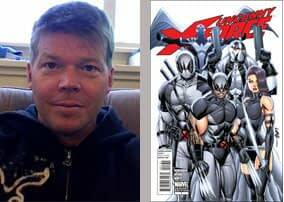 While Rob Liefeld has taken the opportunity on Facebook to talk about how both his and Fabian Nicieza’s names appear on the credits of the Deadpool movie, out this week. Sooooooo many of you have been very nice and concerned asking over these months wether I would receive a credit on the Deadpool film. I can tell you the answer is an unequivocal YES. 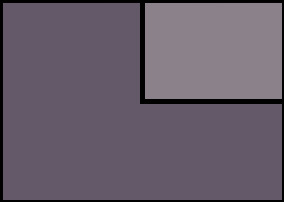 But that’s the simple version, the how and the why is where the story got interesting. Weeks ago, middle of December, I saw a cut of the film and there were no creator credits. I immediately contacted someone at Fox and very politely asked if myself and Fabian Nicieza could receive a based on a comic characters or created by credit. After being passed through different channels I reached out to the director, Tim Miller and he said he would handle it and he was a man of his word and a stand up guy and added a shout out for myself and Fabian at the end of the credit listings. Let’s not kid ourselves, the studios are giant monolithic machines with hundreds of moving parts and their priorities are not always in line with comic book guys. And they likely never will be. Their priority is making and promoting a film. And that film has a thousand moving parts. But I thought it was important for the families to see their Dad’s with a credit and now they will and I know Tim was the influencer that pushed it through and honored my request. I sent the exchanges back and forth as it was happening to Mr. Nicieza so he would know. After the fact I was enlightened as to how many comic films don’t even mention the creators in any capacity and as I said, it’s a small tag at the end, but it matters. It’s part of the film. Both Fabian and I participated in documentary footage that will be part of the DVD. Tim Miller is a comic book guy, he has a vast comic book collection and is a genuine fan of the medium. I learned this up close and personal over the last 6 years. I’m not writing this to instigate a “Hey, they should give you guys priority.” Save it. Please don’t share that. Don’t bother. We are still in the infancy of comic book films taking over and every little step matters. In the real world if you want to participate in one of these giant productions, you have to jump on the train as it leaves the station! I made some great connections with Fox execs in San Diego comic con this year. Still hustling after all these years! Got to! Enjoy the film as it rolls out this week. You would never ever suspect that Tim Miller is making his first film. It is as accomplished as the work of a seasoned vet! DEADPOOL!! Heading out to see it later with Bleeding Cool managing editor Patrick Dane. Apologies for a sparser Bleeding Cool than usual today… but we’re seeing Deadpool!